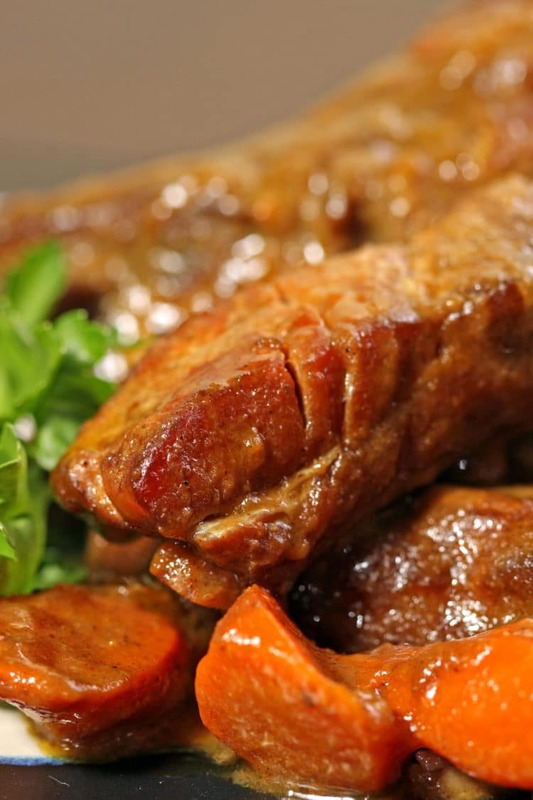 For these Baked Curry Pork Ribs we brown these ribs in a cast iron skillet and slow roast them in a beautiful, fragrant curry with onions and carrots! 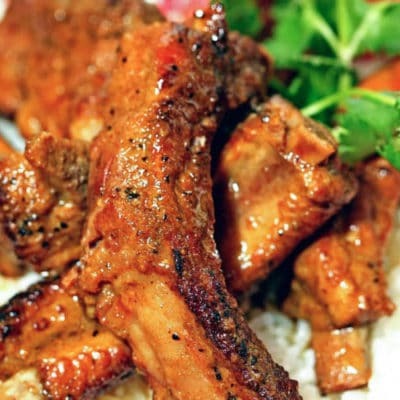 A beautiful rack of luscious pork ribs was staring at me and my tastebuds were feeling the need for curry. Hmmm, for these I was thinking of a curry with a more Asian flavor to it then my usual Indian version. 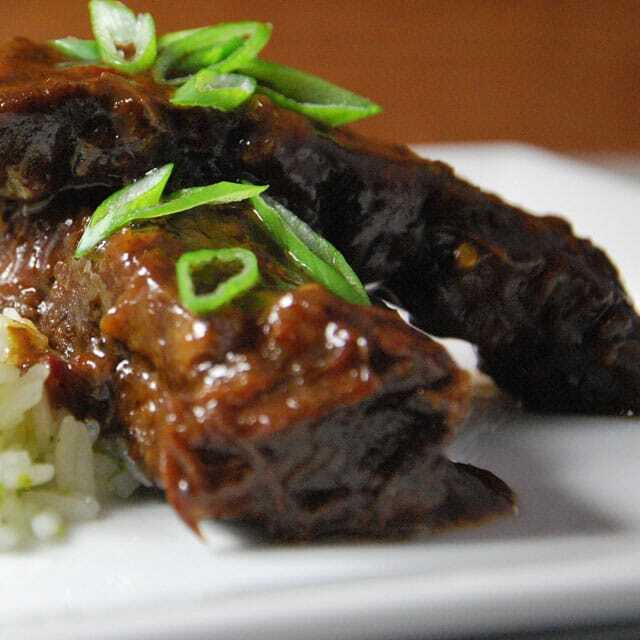 We will brown these ribs in a cast iron skillet and slow roast them in a beautiful, fragrant curry with onions and carrots! Sometimes it’s the simple things that end up being the tastiest. So let’s get out that butcher knife and make sure it’s sharp. 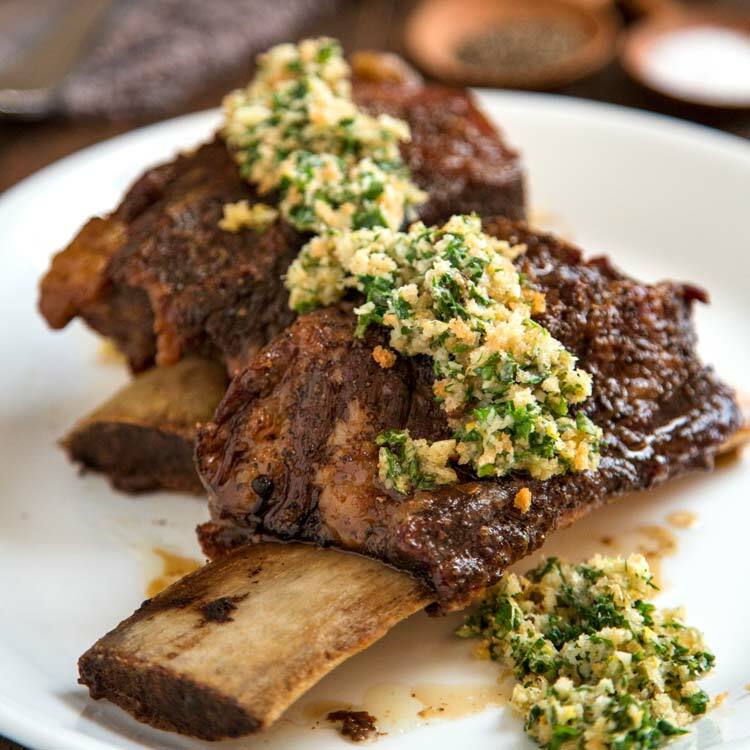 Slice up the rack into individual rib portions, generously seasoning them with kosher salt and ground white pepper. 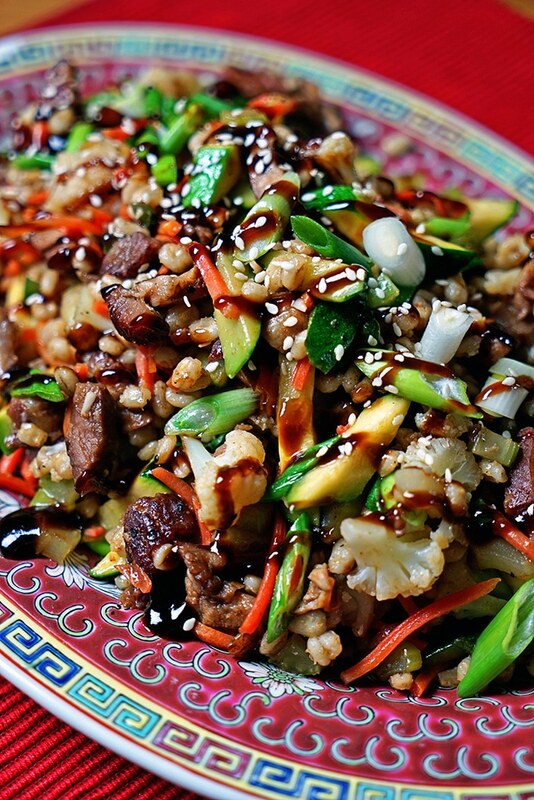 This meal is all about flavor, lots of it, too. 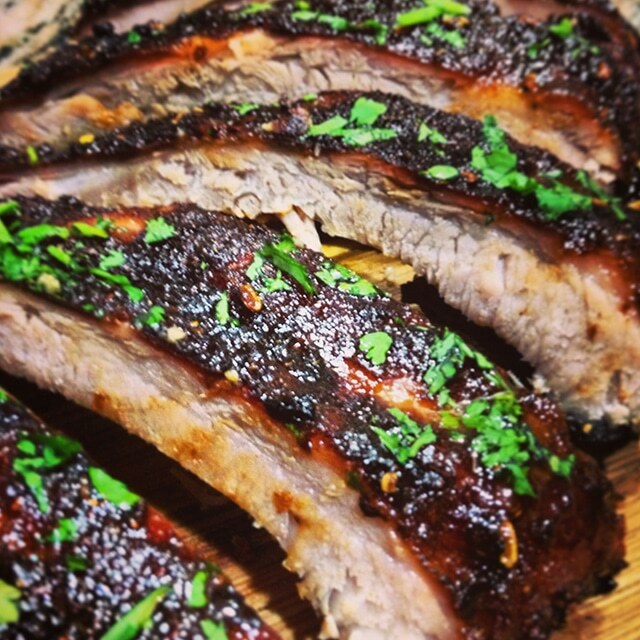 Preheat your oven to 350° and let’s brown those ribs! Set your cast iron skillet, or any frying pan, on the stove top and get it smoking hot. Just before adding the ribs I drizzled in some peanut oil and seared the ribs all over to a nice golden brown to seal in and keep them moist. A quick, flash fry is what we want here. Remove the browned ribs and set aside. Deglaze the skillet with chicken stock, scraping up the little bits and crispy pieces and reserve for now. 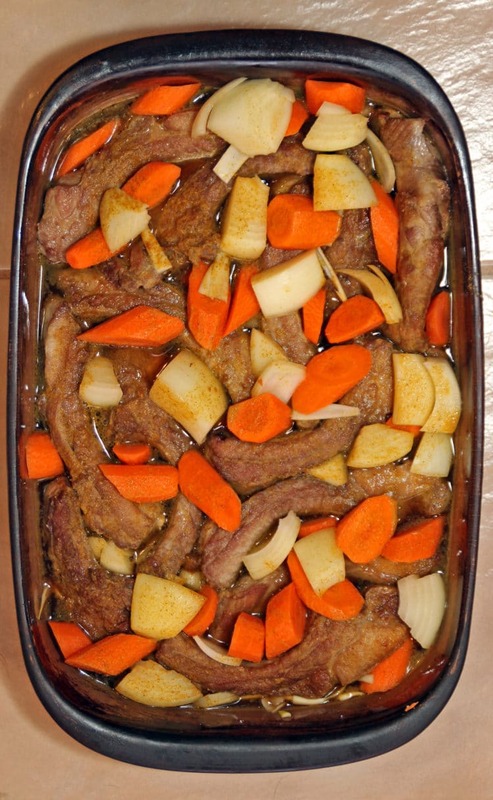 In a baking pan, here I am using my 13×9″ stoneware, I arranged the browned ribs on their sides and nestled in between them the freshly chopped carrots and onions. In a small mixing bowl add the curry mixture and the flour. Using a whisk combine and add the reserved deglazed pan juices and 2 cups of chicken stock. 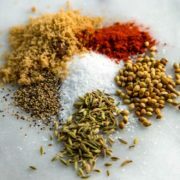 Whisk this to incorporate and pour over the ribs and vegetables. I covered the pan with a layer of plastic wrap and then aluminum foil to seal the dish completely and baked it for 3 hours. 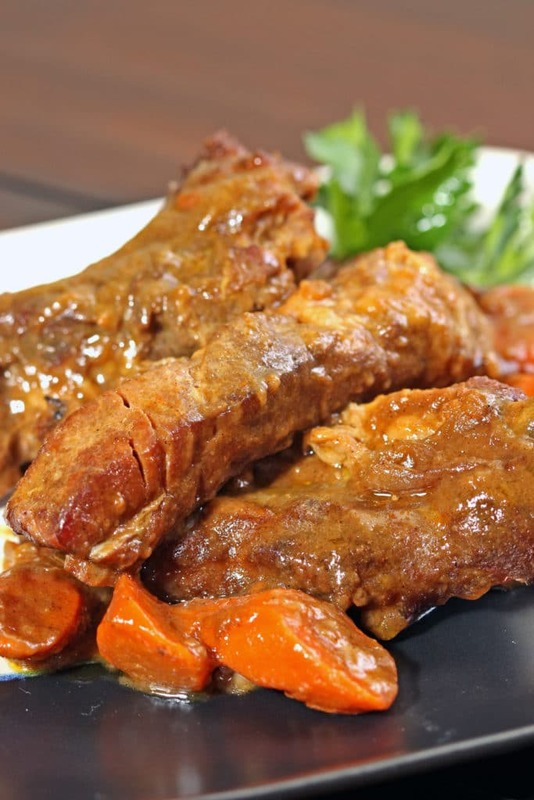 What came out of the oven was an amazingly tender, fall-off-the-bone pork draped in a beautifully scented curry sauce, thickened by the flour we added earlier in the curry and chicken stock sauce. The onions basically melted into the nice, thick curry sauce and the sweet carrots were tender and not mushy. I kept them a little thicker this time around. Not every dish I make here makes it on the site and not every one makes it after one try or two. 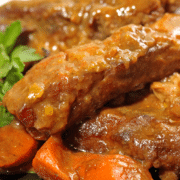 I work on these recipes and only want to serve up to you guys what I feel are the best. 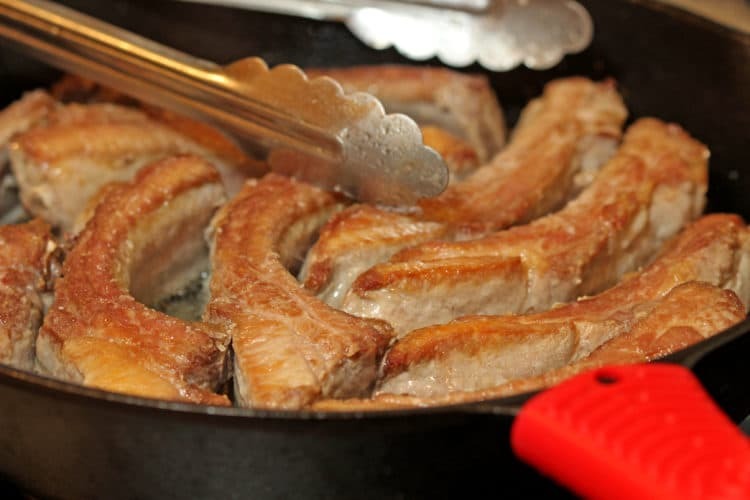 Season the pork ribs generously with the kosher salt and white pepper. Brown in a very hot cast iron skillet or frying pan with peanut oil or your favorite kind, on all sides. Peanut oil and grape seed oil take high heat. Remove from pan and set aside. Deglaze the pan with 1/2 cup chicken stock with the heat turned off. Scrape up all the bits and crispy pieces and reserve. 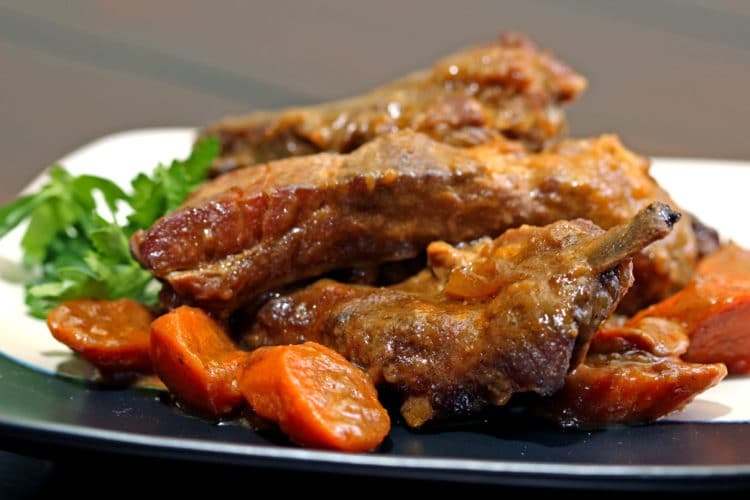 Grease the baking pan or stoneware and arrange the browned ribs on their sides and nestled in between them the freshly chopped carrots and onions. 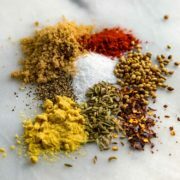 In a small mixing bowl using a whisk combine the flour, curry and Chinese Five Spice powders. Slowly add the 2 cups chicken stock, deglazed pan juices and pour this mixture over the ribs and vegetables. Cover the pan with plastic wrap and then a layer of aluminum foil to seal. 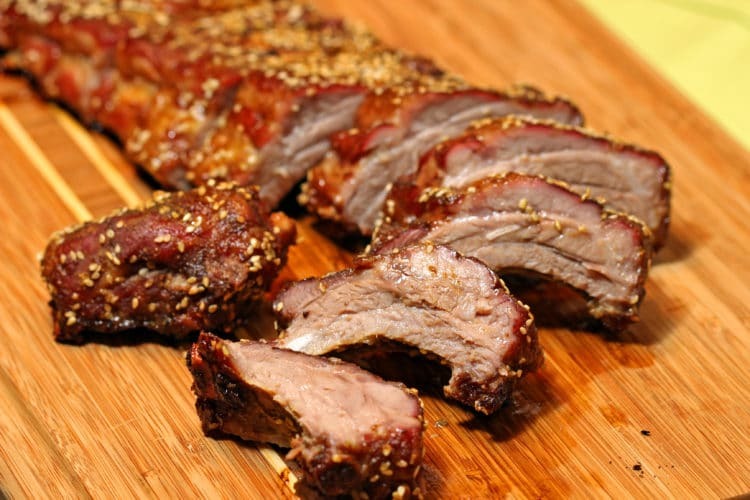 Bake for 3 hours or until meat pulls easily away from bones depending on the thickness of the ribs you have used. 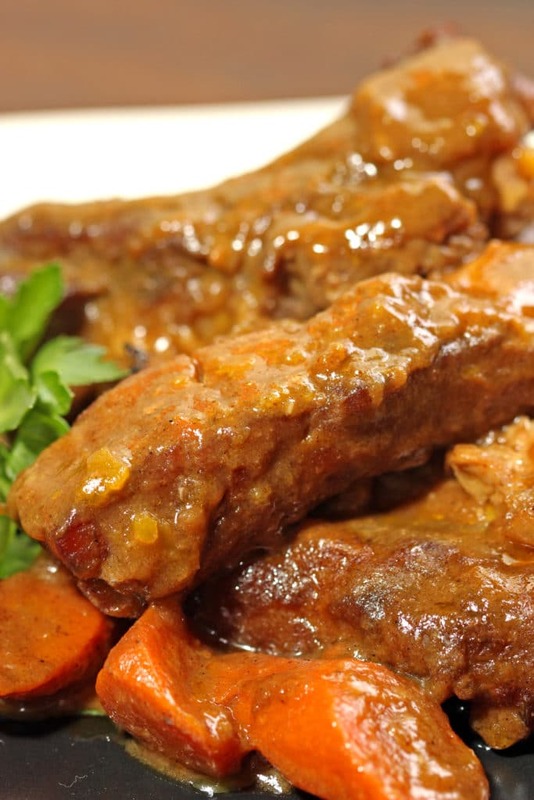 Spoon the curry sauce over the ribs and vegetables and serve. Thanks Todd! Love the photography on your site, too. Cheers!